This smart tool takes the danger out of grating whole spices. Measures 3.5"/9cm tall by 3"/7.5cm diameter. 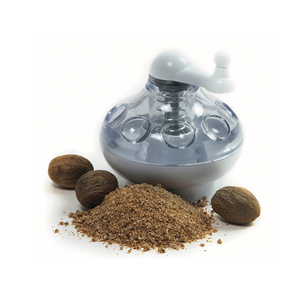 Grind fresh spices with ease. Store your spices in grinder body. Stainless steel blades. Has an easy turn crank handle. Wipe clean.